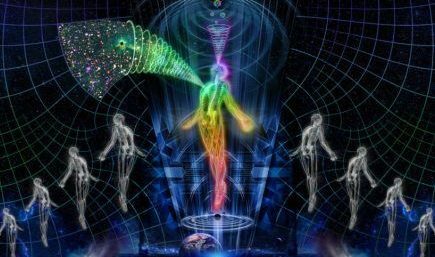 Reincarnation means starting life again in a new physical body. Pinterest. Reincarnation is rebirth. Being born again implies transition from life to death and back again; a continuous cycle. According to both Eastern and Western religions, a human being consists of two parts; body and soul. After death, the soul escapes the body and is born into a new body, a new life. Human beings often don’t remember their past lives, but there are some special cases of partial memory retention that suggest reincarnation has occurred. In Asian traditions, a body is marked after death in the hope that the soul of the deceased will return. (Pinterest). In some Asian countries, there is a traditional expectation that when a person dies, his relatives will mark the body – often using soot – in the hope that the soul of the deceased will return and be reborn into the same family. The mark is supposed to become a birthmark; evidence that this soul has been reborn again. In 2012, psychotherapist Professor Jim Tucker from the University of Virginia (USA) and Jurgen Keil, an emeritus professor and psychologist from the University of Tasmania in Hobart (Australia), sent an article to Scientific Exploration. Their research detailed families with young children born with birthmarks, which were said to correspond with the marks that had been placed on their deceased relatives. 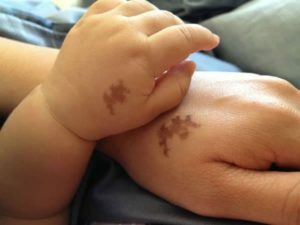 In one case, “K.H.,” a boy from Myanmar, was noticed for a birthmark on his left arm in the same location as a scar on his deceased grandfather’s body. K.H.’s grandfather died 11 months before the boy was born. Members of the family witnessed their grandfather wounding himself as he accidentally touched the charcoal on the underside of a burning pot. The wound left a visible scar. Curiously, the young K.H. also called his mother “War War Khine,” the name used for the daughter of the deceased grandfather. He should have been calling his mother “Ma Wa,” in the usual way. When K.H.’s mother was pregnant, she dreamed of her father saying, “I want to live with you.” The mark that he carried on his body, and the way he called out to his family members in their dreams, made them think that he would return to them. Ian Stevenson is a Professor of Psychiatry at the University of Virginia (USA), and is an expert on the phenomenon of reincarnation. Professor Stevenson was the aforementioned Dr. Jim Tucker’s mentor. In 1993, Stevenson published an article in the Journal of Scientific Exploration, describing birthmarks and birth defects that seemed to be related to past lives. According to his findings, the causes of most birth defects are “unspecified.” This ambiguity leaves a lot of space for interpretation. In one case studied by Stevenson, a child in Turkey claimed to be able to recall his own murder in a previous life. Hospital records contained information about a man who died six days after being injured by a gunshot wound to the right side of the skull. The boy was born with a minor deformity of the ear, and a half-facial deformity on the right side of his face. Could his memory indicate that the murdered man had been reborn into his body? Small ear defects occur in only 1 out of 6,000 babies; half-facial deformities are estimated to occur in 1 out of 3,500 babies. Taranjit Singh is a young boy who lives in the village of Alluna Miana, India. At the age of 2, he announced that his real name was “Satnam Singh,” and that he was born in Chakkchela village in Jalandhar district, about 60 km away. Taranjit declared that he was, in fact, a 9th grade student (about 15 or 16 years old) and that his father’s name was “Jeet Singh.” He seemed to recall that a man on a scooter had crashed into Satnam, who was sitting on a bicycle, causing his death on September 10, 1992. Taranjit said that the books he (Satnam) bought on the day of the accident were soaked in blood, and he had 30 rupees in his pocket. Taranjit was certain about the details of his story. Taranjit’s story was so convincing that his father, Ranjit, decided to investigate further. After looking into the details of his son’s compelling story, Ranjit was told by a teacher in Jalandhar that a boy named Satnam Singh had indeed died in an accident. The boy’s father was named Jeet Singh. Ranjit went to Satnam’s family, and they confirmed the additional details of the bloody books and 30 rupees. When Taranjit finally met Satnam’s family members face to face, Taranjit accurately identified Satnam in family pictures. Forensic scientist Dr. Vikram Raj Chauhan read about Taranjit in the newspaper, and decided to learn more. He took examples of Satnam’s handwriting from an old notebook and compared them to Taranjit’s writing. Taranjit “is not used to writing,” Chauhan commented, but his handwriting was still remarkably similar. Dr. Chauhan shared his findings with his colleagues, who also said that the handwritings were quite similar. Stevenson studied the case of a 37-year-old American woman, called “TE” for short. TE, born and raised in Philadelphia, was the daughter of an immigrant family who spoke English, Polish, ancient German and Russian. TE was exposed to these four languages during her adult life. When she went to school, she also learned French. As for Swedish, she only learned a few minor phrases from watching a television program about the lives of Swedish people in the United States. However, throughout the course of eight life regression sessions, TE presented herself as “Jensen Jacoby,” a Swedish farmer. As Jensen, TE listened to the interview questions that were posed and answered exclusively in Swedish. In her answers, she used approximately 60 Swedish words that were not used by the interviewer. TE, as Jensen, was also able to answer English questions in English. Stevenson conducted two lie-detector tests, a word-link test, and a new foreign language aptitude test. TE answered in Swedish in many of her tests. Stevenson also spoke to TE’s husband, family members and acquaintances about her learning skills, or whether she had had the time to interact with any Scandinavian, northern European languages. They all agreed that she didn’t have much contact with these languages. No northern European language had ever been taught in the schools that TE attended. In a book titled Your Past Lives and the Healing Process, author and psychiatrist Adrian Finkelstein describes a boy named Robin Hull, who often spoke a language that his mother could not understand. 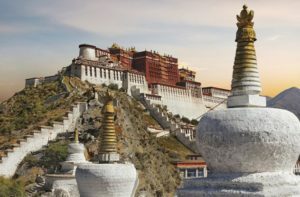 Robin’s mother contacted an Asian language professor, who confirmed this language to be a local language from northern Tibet. Robin himself said that he had visited a monastery many years ago, and that this is where he learned the language. This statement shocked and surprised Robin’s mother; at the time, the young Robin had not even started school. Finkelstein found out more, based on Robin’s descriptions, and eventually found a monastery on the Kuan Luan mountain range that matched Robin’s account. 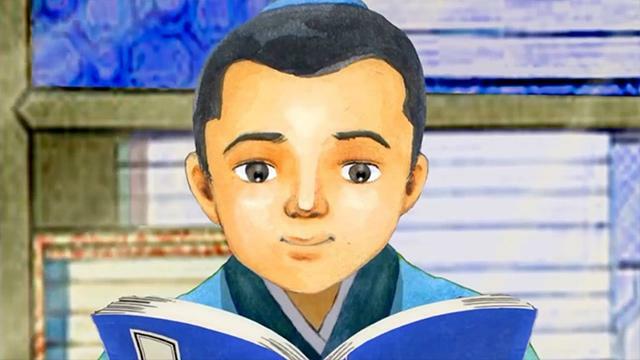 The young boy’s story inspired the professor to travel to Tibet and visit the monastery. Finkelstein is an expert on pre-hypnosis therapy. He worked at Cedars-Sinai Medical Center in Los Angeles, and as an associate professor at the University of California. He currently has a private clinic in Malibu, California. These five case studies beg the question of the possibility of reincarnation. How else do we explain the extraordinary phenomenon of birthmarks that mirror old wounds, eerily similar handwriting, acquiring a language that has never been taught, or children with crystal clear memories of a previous life? These phenomena have intrigued scientists and psychologists for decades, and the conversation continues; if we are both body and soul, where does the one go after the death of the other? If these stories are to be believed, is reincarnation possible? The evidence is compelling. The stories are magical. May the question of reincarnation invite you into fascinating conversations, and meaningful contemplation.